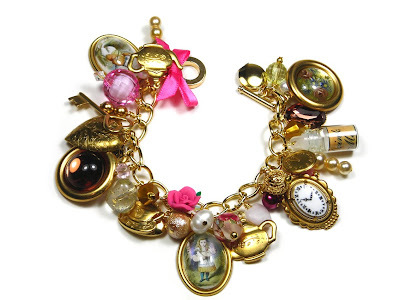 Here is my latest design, another charm bracelet featuring Alice in Wonderland trinkets and charms! This was a lot of fun to make and I managed to photograph and edit the pics myself so I'm quite proud. 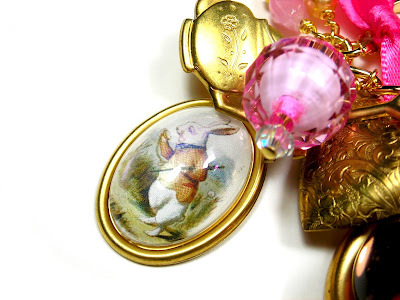 I prefer my jewellery so much more photographed on a white back ground! I'm going home this next week end I'm missing home, my Mum and Dad and Billy Dog so I'm really looking forward to having a week end back home!!! Can't wait!! 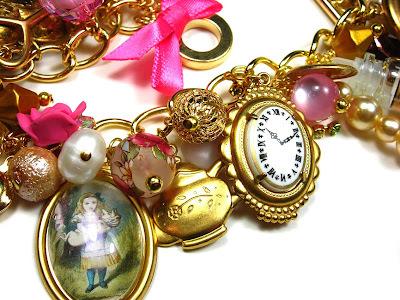 Great bracelet, Janine and wonderful photographs too! Yeah can't wait! I'm counting the hours!